With just a few weeks till one of the biggest dates in our calendar, we sit down with our very own Roy McGowan and David Hart who will be taking to their bikes once again as they embark on an impressive 1500km cycle from London to Cannes to attend the annual MIPIM property conference. In this edition of, A Conversation with Roy and Dave, Roy talks to us about how well his training is going and why being part of the cycle to MIPIM is of great significance to him and the rest of the team at Momentum. Q1. Before we get into the important questions, we have to ask, what possessed you to volunteer to cycle 1500km to Cannes for the 3rd time? Well it all started after Dave and I decided to attend our first MIPIM back in March 2013. We were invited to participate in the charity cycle to MIPIM bike ride which was organised by Club Peloton. 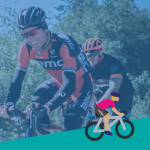 A terrific organisation that was created over 10 years ago with the intention of organising a sponsored bike ride from London to Cannes to support the much-deserved Coram children’s charity who provide specialist adoption services. Over the past 10 or more years, the bike rides have been growing in popularity so much that there are now enough cyclists to complete two different routes, amounting to 200 riders partaking on the hilly courses. What’s most impressive is each rider involved aims to raise a minimum of £3,000 each for Coram in addition to paying their own entry fee. So this year, the ambition is to raise nearly £1 million for Coram which includes significant sponsorship from Legal & General. I must add there’s an accompanying coach that joins us at the end of every stage which are set out at 35miles each for those who may need that brief pit stop to recuperate and rest, we’re not all expected to complete the entire 1500km. However for those soldiering on, when we do arrive at the checkpoint, the food and drinks are certainly a welcome break. I was certainly one of those who used the coach on my first two rides, however last year I managed to get my head in a really good space and was able to successfully complete the ride without having to join the coach for the first time. Q2. What did you do differently last year? I think it was a change of mind-set. The only commitment I made last year was to take it each day at a time and to start each day at 6am. The picturesque views as you climb through the hills through the province of Champagne at sun rise also help. Q3. 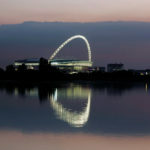 So why MIPIM? Why is MIPIM such an important date in both of your calendars? I’ve always been hugely interested in attending MIPIM as it’s an excellent business network to be involved with. MIPIM presents us with fantastic opportunities to meet with architects, planning consultants, clients and also interesting people who are developing innovative ideas designed to benefit our cities and the way we live and continue to build our communities. MIPIM is also greatly important to us as it’s a gathering of around 35,000 people and nearly 2,000 amongst the London pavilion alone. 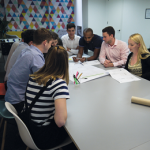 It attracts a range of professionals across a variety of sectors, many of whom include people we work with already and would like to work with. It’s simply a great few days where you can be surrounded by likeminded individuals and business people. Furthermore, to combine the professional aspect of networking and fundraising with my passion for cycling is just brilliant. It’s not often you can cycle such a distance and do so whilst feeling like you’re part of a community that are keen to raise funds for Coram, that encourage you and then see you at the finishing line. Q4. From your experience, where do you see the future of property and real estate heading towards? In my opinion, people in cities are going to increasingly want high quality spaces and public realm with far less impact from general traffic and air pollution. There is a huge opportunity to further civilise London with forward looking transport schemes and improvements. With that being said, the type of properties and real-estate that is currently being developed is already responding to these demands. However, we need to ensure that this approach and sensitivity to providing better spaces for people is at the core of our future developments to help us achieve a vastly improved and liveable city. With sustainability being a key topic of interest at MIPIM, what would you say has the greatest impact in shaping the future of our cities for the better? I have to say both, design and tech. I strongly believe we have to absolutely develop tech as effectively as we can to help us deliver the greatest level of improvements that we are striving to achieve in our city. We need to ensure that there is an on-going demand for state-of-the-art technology in our cities so that we can continue to make monumental leaps forward. 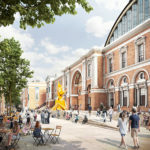 The design then needs to draw on and use the most effective combination of technology with the scheme objectives to deliver the highest quality developments and the best examples of desirable public realm within our cities. A clear example of this for me is the introduction of electric bicycles that are now hugely available and have been for some time. 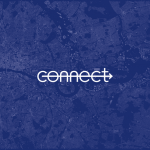 They are increasingly becoming more cost effective, with an impressive battery range that can now cover the whole of greater London. However, with that being said, it’s confusing to me that we still permit 500cc motorbikes to use the congestion zone for free with all of the high speed safety and air quality impacts such vehicles have on the environment, compared to the vast improvements we can achieve on safety and the environment by developing policies that would promote the use of electric bicycles travelling at less than 20mph. 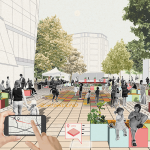 Another fantastic example of how tech will be able to inform how we design and create these much needed and better spaces for people comes from the recently spoken about push from the City of London to replace the Cloud with a state-of-the-art free 5G wifi network. 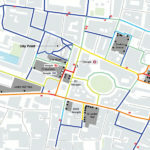 The way this will work is, in order to access the free wifi, users will volunteer to agree to their location being mapped, which will provide authorised members within the world of transport and design with live pedestrian movement data across the many stations and network of routes which thread our different communities together across the entire City. For us, this is exciting as it means we’ll be able to work in real time and create strategies and design solutions that meet the demands that are generated by the people who live and work in our city. Q6. Lastly, to close our conversation, what are you looking forward to most during your time at MIPIM and have you signed up for another cycle next year? What I’m looking forward to most is catching up with some of the great architects and external organisations who already work with Momentum, not to mention the idea of making new contacts with professionals and clients who work in untapped sectors and industries. For us these new conversations are particularly exciting as it could always lead to new and interesting work that we may never have been involved with beforehand. But as to whether I’ll be signing up to another cycle to MIPIM next year; not yet. I’ll reconsider in September, by then I’m sure I’d have forgotten about the sore bum. Although I have signed up to a 100mile cycle in the Alps in June which I’m excited about. There’s something I enjoy about being in those mountains, maybe it’s the idea of how insignificant they make me feel, who knows. I think the trick to all of this is to enter things you enjoy that are both challenging and good fun but will also give you something to focus on and train for. That’s it for this edition of ‘A Conversation with’, if you’d like to support our Directors on their mammoth cycle, you can make a donation to the charity Coram which I’m sure will make Dave and Roy’s efforts all the more worth-while as they cross the finishing line on the 13th of March. Click here to find out more about MIPIM, the world’s leading property market.